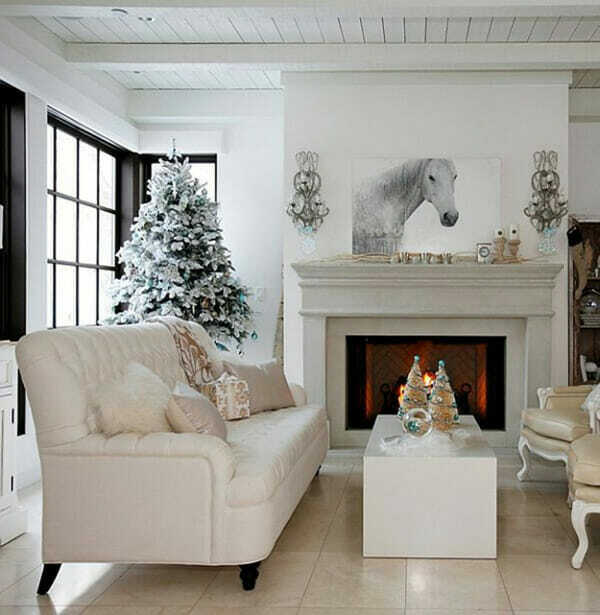 Holiday decor emits coziness, warmth, and cheer. It is a great opportunity to enhance your living space with added color and shine. For many homes, a Christmas tree is a prominent feature that can be visually stunning. With a little planning and creativity, it can be a wonderfully stylish focal point for the season. 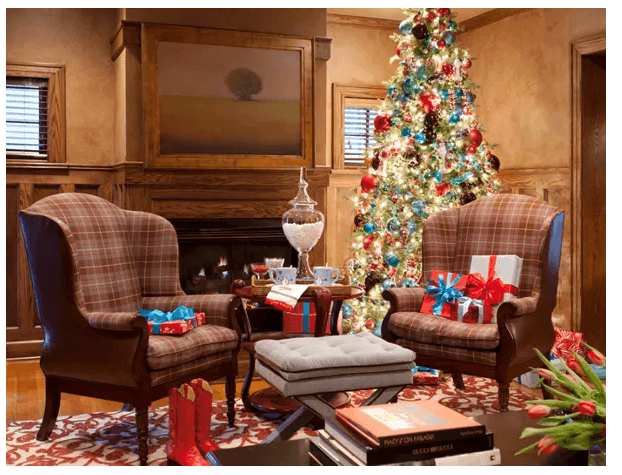 Here are 3 main elements to keep in mind when decorating your Christmas tree! 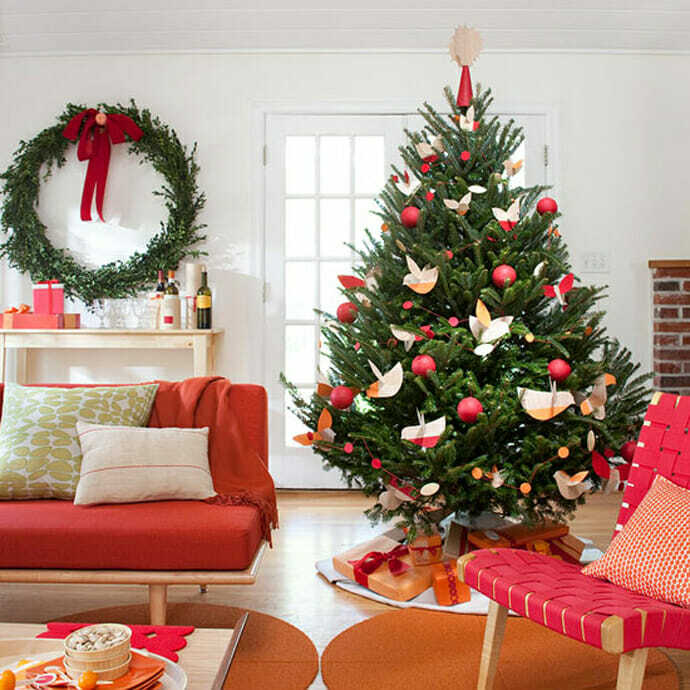 One of the easiest ways to stylize your holiday tree is to use color as a theme. Which colors? Select colors that pick up hues already existing in the room. If your accents are blue or you notice you have an affinity for silver accessories, go with those to decorate your Christmas tree. Another way to use color is to choose those that are complementary to the ones in your living space. For instance, if there is a dominance of yellow in your design, use shades of purple to add balance. Check out this color wheel to help. Christmas trees are meant to be dressed up. They have style too! Being mindful of what type of decoration chosen can help add to the design style in your living room. For example, ornaments made out of wood, twig, or twine offer a rustic or shabby chic look that you may be going for in your space. Similarly, vintage crystal pieces hanging off boughs can give your tree the glamorous feel you like for your room. 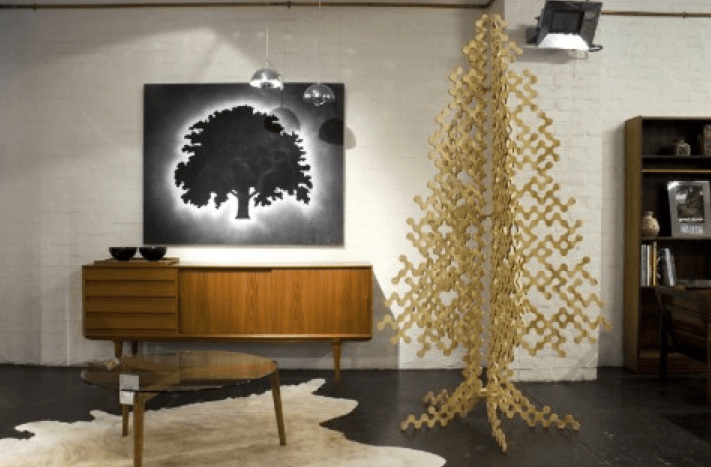 For a modern design, consider sleek, pointed stars. Believe it or not, bigger is not necessarily better. Choosing a tree that works with the size of your living room is important. High ceilings definitely call for tall Christmas trees that draw the gaze upward. 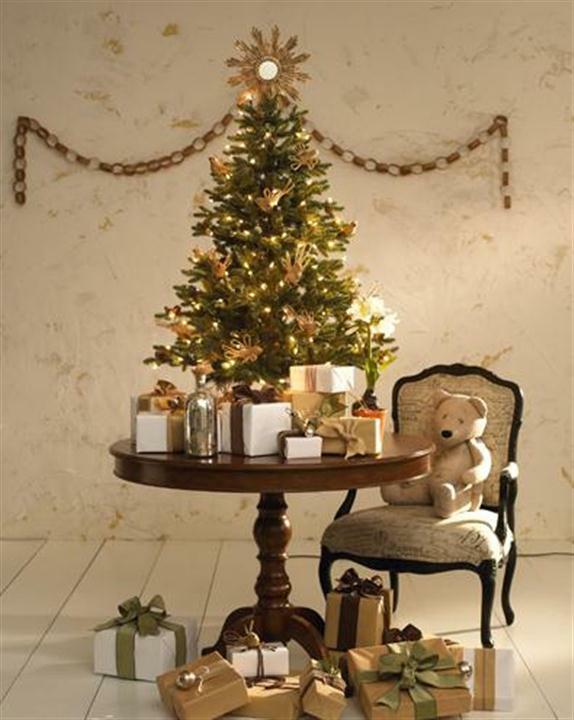 If your space is limited, elevating a small tree on a table can do the trick. 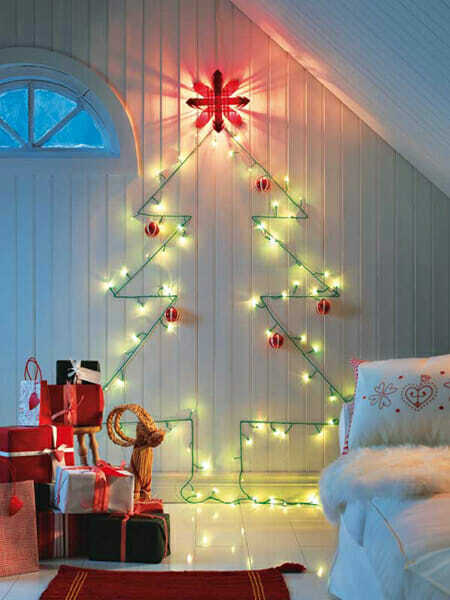 Floor space can be saved with clever Christmas tree interpretations on walls. The holidays are a perfect time to have fun with decor. 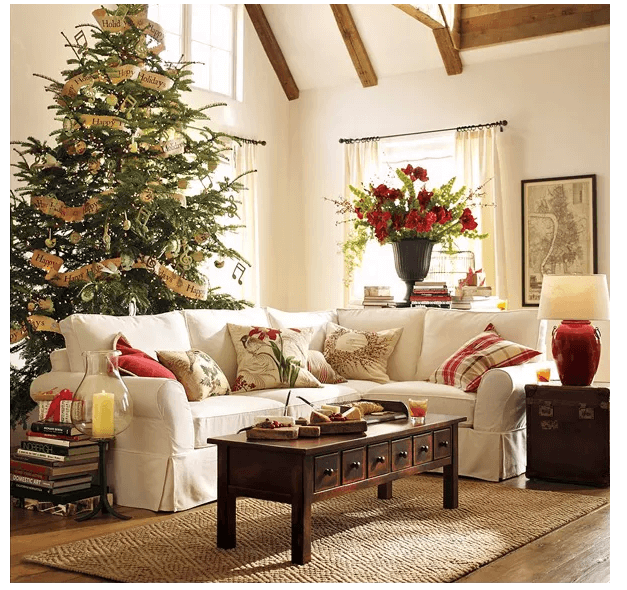 If Christmas trees are easily the focal point of any space, why not have it match your living room? By simply paying attention to color, style, and size, you are bound to decorate a tree that shines! 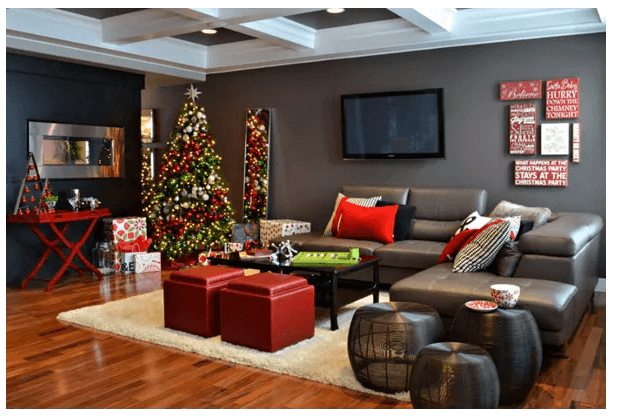 Need a little interior design help this holiday season? Get a free design consultation with the purchase of a furniture and decor gift card today!